Home Android Retrofit Tutorial Step-by-step : How to use Retrofit to send and receive data from Server ? Retrofit Tutorial Step-by-step : How to use Retrofit to send and receive data from Server ? Retrofit is a rest client for Android and Java by square. It is a technology used to send a request request to server and receive data from server. Lets move to tutorial Right now. 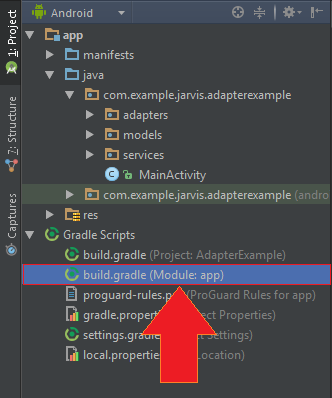 How to setup retrofit in Android Studio ? Step 2: Download this zip file and extract folder and then place it into your project. 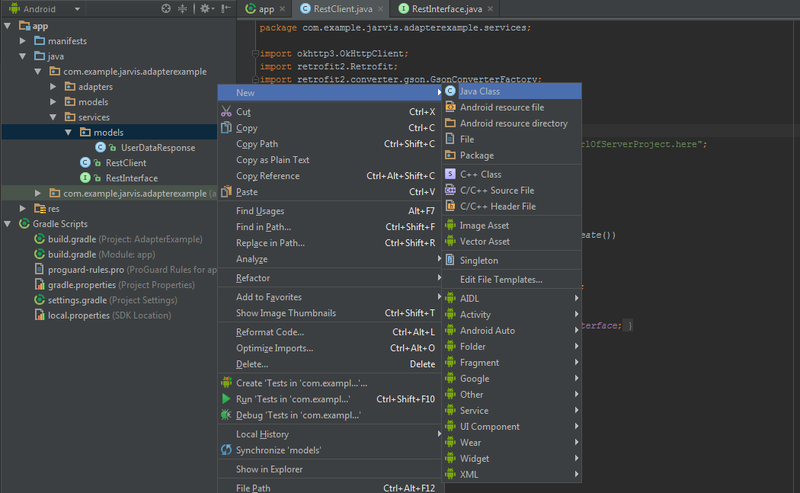 Step 3 : Now expand services folder you will find RestClient.java file Open it. Note : Dont touch any other part of this file. Step 4 : Copy paste following code into your MainActivity.java file. Thats it, You are done with Retrofit setup. How to use retrofit ? Easy and fast method to code is going to this link. 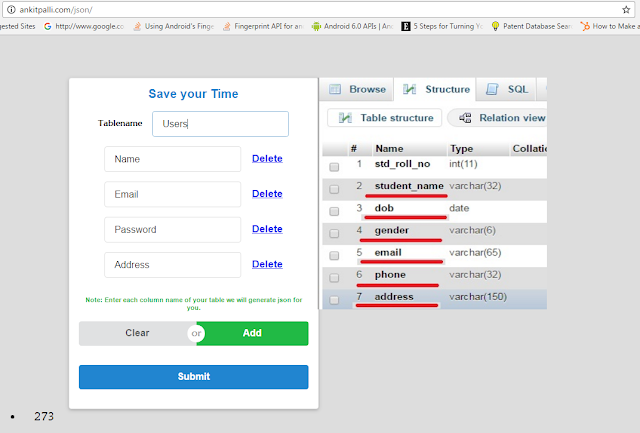 Note : Enter your table name and all column names except ID column eg. UserId. 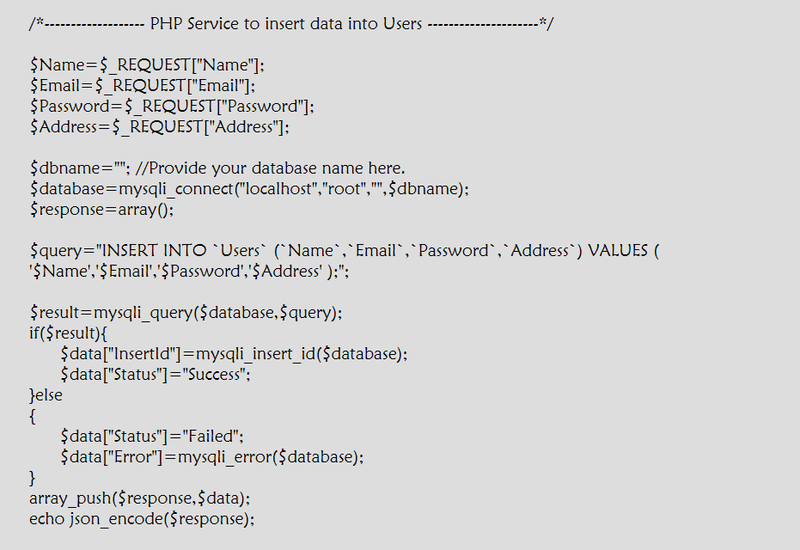 PHP code to get data from table. 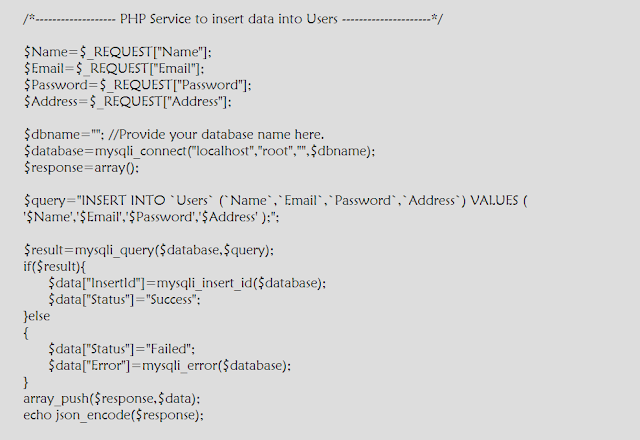 PHP code to insert data into table. 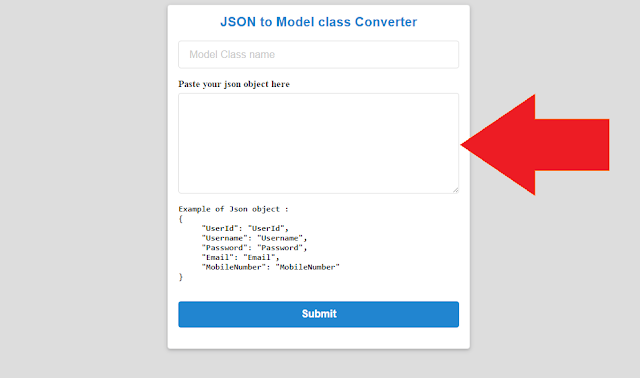 Paste Copied JSON object into this Box. Provide a name to your Model Class and Press Submit you will get your model class created. 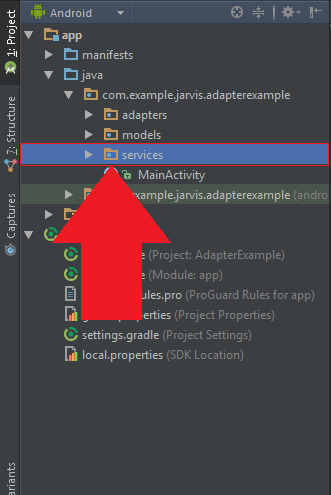 Create new class into "models" folder in services package. Now copy complete model class and paste it into this class. Note : Name of class should be same as name of model class. Declaring method to get data from Server. Go to RestInterface.java file in "services" package. Now, finally we will send request to server using Retrofit Call in step 4. Step 4 : Defining method where ever you you want to use. Copy following code and paste it into your java file where you will send request to server. You can now download services file uploaded on my drive using link in post. Now you can see data sent and recieved from server using intercepters.